Do you have an aching or damaged tooth that you want to extract? Many pros and cons of tooth extraction exist and you need to weigh them before you make a final decision. Dr. Ben Kacos, a dentist in Shreveport, recommends that you discuss your thoughts with a dental professional so that the best option can be selected to address your condition. What Are The Methods of Tooth Extraction? Simple tooth extractions. Simple tooth extractions are the common way of removing a tooth that is visible within your mouth. Dr. Dhoon from Greeley Dental Care explains that an “elevator” is used to loosen the tooth in question before a “forceps” removes that loosened tooth. Simple tooth extractions are the reason why tooth removal is commonly called “having a tooth pulled”. Surgical tooth extraction. Not every situation permits the use of simple tooth extraction to remove a tooth. Some individuals, such as those whose teeth have broken at or below the gum line, require surgery. Surgical tooth extraction is also used for teeth that haven’t developed fully, like when you want your wisdom teeth extracted in their initial development stage. A perfect smile. Some people have crowded teeth that compromise their smile. Having a tooth or teeth extracted creates room for the remaining teeth to be aligned well so that your smile improves and your teeth can work properly as you bite and chew. Prevention of future problems. Your dentist in Shreveport may recommend a tooth extraction when he or she assesses the affected tooth and concludes that it is likely to cause further problems later on. Extracting such a tooth with a poor prognosis can therefore save you from the costs and inconveniences that would have arisen in months or years to come. Wisdom teeth extraction is an example of an extraction procedure that prevents future dental problems. Cost-effectiveness. It is generally more affordable to extract a problematic tooth than it is to save it. For example, it may cost you about $100 to $300 to extract a tooth while you will typically incur more than $500 to have a root canal done. Remember that having the root canal procedure will not forestall all potential problems with that tooth in future. It increases your options. Having a tooth extracted increases your options in terms of what to do with the gap that is left. For example, you may decide to have an implant-supported replacement, a dental bridge or partial denture. Pit formation. Pit formation is likely to occur if you extract a tooth and a replacement isn’t installed. The pit is the space left after the tooth was removed. Root displacement. The root of the extracted tooth may be displaced into one of the sinus openings. This can cause its own set of complications, such as infections of the sinuses. Adverse effects on surrounding teeth. Tooth extraction, especially by surgical means, carries a high risk that nearby teeth will be affected negatively. For example, the instruments used to extract the tooth may chip the nearby teeth. The jawbone supporting the nearby teeth may also be damaged and the surrounding teeth will gradually become loose as a result. 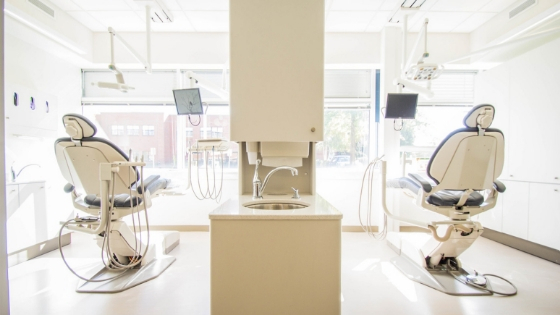 The dentist in Shreveport will do everything possible to minimize the likelihood of these complications, but the possibility may not be eliminated completely. High costs of replacements. You are also likely to incur high costs associated with the tooth replacements that you select. For instance, partial dentures are unlikely to last for the rest of your life and you will need to keep getting new ones from time to time. You can save your tooth if you want to. Here are some of the alternatives that your dentist in Shreveport may recommend after assessing you. Apicoectomy. Apicoectomy is a procedure in which a small bit of the end of the root of your tooth is removed and what is left is sealed. Dr. Kacos explains that this alternative is used in case a patient is unable to undergo root canal therapy or root canal therapy fails. Root canal therapy. The dentist can decide to perform root canal therapy in case he or she finds that your tooth can still perform its work for long. Root canal therapy entails extracting the decayed or infected nerves within the root of the tooth. This therapy puts an end to the progression of the infection or decay and eliminates the pain associated with those issues. Deep gum treatment. This alternative is only considered once the Shreveport dentist is certain that your tooth is still strong despite the decay around or on it. Deep gum treatment involves treating the gum around your affected tooth so that the foundation holding the tooth in place is strengthened. As you can see, tooth extraction comes with pros and cons. It is therefore advisable for you to ask a dentist near you, such as Dr. Ben Kacos, for the different alternatives that you can consider before a decision to extract the tooth is made.